Remo Hard Drive Recovery offers hassle-free, simple and clean transactions for our products. We also provide a customer focused pricing and refund policy. Pricing of the product can be found on Remo Hard Drive Recovery purchase page. Remo Hard Drive Recovery is available both in Free and Pro versions. Free version of Remo Hard Drive Recovery gives you a fair idea of the software functionality, but has limitations compared to the Pro version. Pro version of Remo Hard Drive Recovery, which has no limitations, will cost you $99.97 for 1 year subscription. You will only be charged the exact amount displayed on the purchase page. We never have any hidden charges. 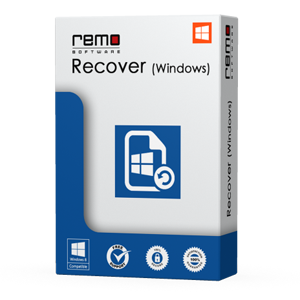 REMO Recover (Windows) Pro Edition offers a 60-Days refund policy from the day of purchase. As a customer of Remo Hard Drive Recovery you may rest assured that if a customer is unhappy with the product and requests a refund within 60-days of purchase, we will issue a full refund of the purchase amount. In order to send a refund request, customer may contact us through the Support page or email us at support@remosoftware.com. Our Support Team will help the customer to resolve the issue. In case our Support team couldn't solve the issue or would be unable to provide an update, we will issue the customer a full refund of their Remo Hard Drive Recovery software. Remo Software will issue a refund for the following reasons: A customer who is not satisfied with Remo Hard Drive Recovery software and if their issue cannot be resolved. We will also refund, if you have been charged twice for the same product due to any technical problem at our payment gateways.